At first glance, mobile app development may seem simple. After all, those tiny little apps on your phone with their breezy cartoon icons and movable interfaces don’t exactly scream nuance or complexity. But in truth, there are innumerable mistakes app developers make that cheapen their final product. At Ready4S, we have the deep experience and necessary prerequisites to not only approach any project but to also truly tackle them head-on. Clutch is innovative and authoritative ratings and review firm. It prominently leads its category. Through compiling candid client testimonials, case studies, and objective quantitative metrics, Clutch is able to create a reliable and consistent baseline with which to assess companies around the globe. 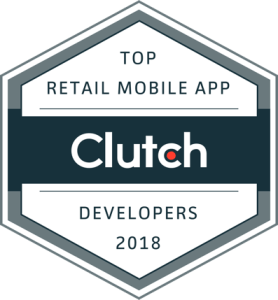 Clutch recently named Ready4S a top retail mobile app development company. We were thrilled to receive this distinction and we want to shine a light on our clients, who helped us attain this achievement. The CTO of a mobile ordering platform was impressed with Ready4S. The founder of an app startup enjoyed the standards of interacting with clients at Ready4S. Founded in 2011, Ready4S handles app and web development as well as UX/UI and a slew of other functions. One of the highest ranked in its class in Europe and the USA, Ready4S has hundreds of projects in countries across the world already under its belt. Our experts are not only technically savvy; they are also possess immense client-relations know-how. Clutch and The Manifest can only bring us closer to our clients. WHAT IS APP SPECIFICATION AND WHY SHOULD YOU WRITE ONE?